Grant writing and grant management is essential for nonprofit organizations. 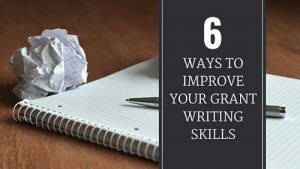 And while the process of putting together grant proposals can be difficult and time consuming, with practice you’ll soon be a grant writing pro. Need help with your grant writing? Try these 5 tips to make the process easier! Funding is imperative to a nonprofits success. In order to secure funding, one must understand and be able to implement successful grant management.